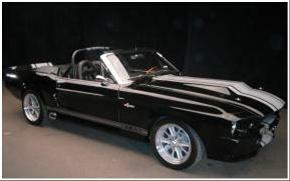 These one of a kind beautiful convertibles are custom built to order with plenty of options from custom Shelby interior, IRS, 427 engines, and 6 speed trans. 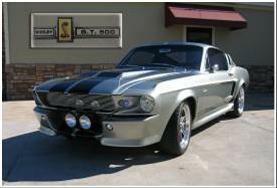 From our standard 500 hp models, to mini tubbed, Roush Powered beasts, these Eleanor recreations are built to perform and drive like a new car. 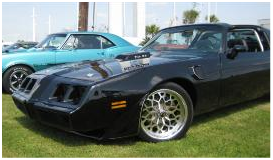 These Camaros feature LS style Engines with 6 speed transmissions and state of the art suspensions. 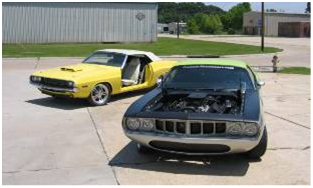 These Pro-Touring projects feature Indy stroker Hemis, with AlterKtion front suspension and custom rear suspensions. They also have very powerful audio/video systems. This project features Jeep Wrangler TJ 4X4 Chassis, with a new 345 hp 5.7 Hemi and a 5 speed automatic. 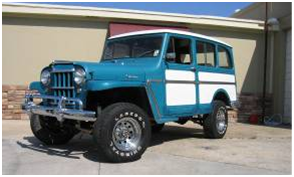 The body will be completely restored with custom interior. 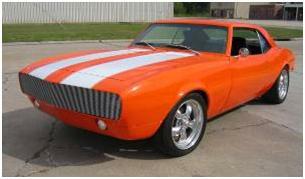 This project features a completely restored car with 21st century touches inside and out. Custom LS engine with 6 speed transmission making 500 hp.